This is a summary of yesterdays breakfast, lunch and dinner. 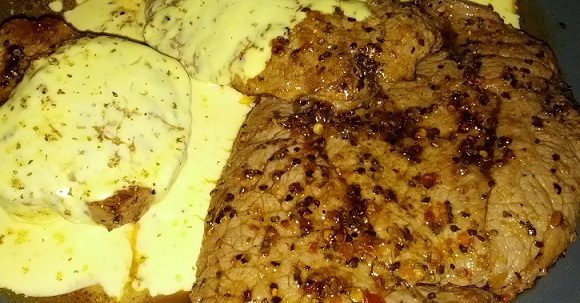 A simple breakfast, a high fat beef and bearnaise sauce lunch and a keto diet bbq for dinner. A keto diet day can not get much better than this. Started the day out by having a egg and bacon mix that I simpy made by cutting bacon into small pieces, fry them for a short while and then adding in 2 eggs and fry it all together. 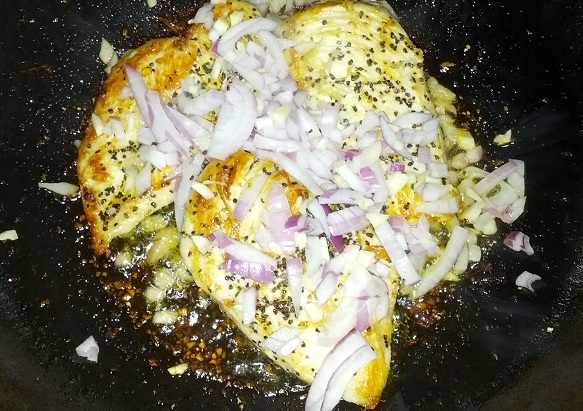 Did not look so good so no picture of it but tasted quite okey. 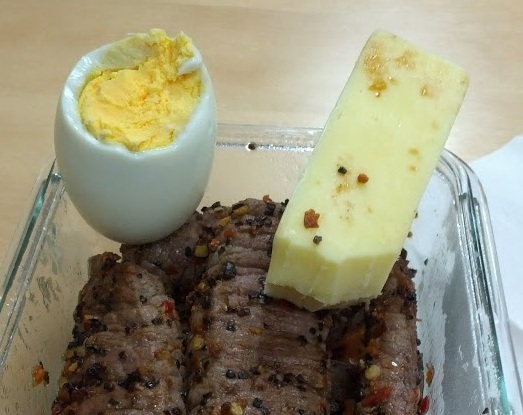 For lunch I had a piece of beef that i cut into small cubes and fried on the pan together with some butter and different spices. Together with this I had some bearnaise sauce that was made together with butter. After the lunch I took a 25 minute walk towards the gym and did some chest exercises for around 1 hour. Quite good energy at the gym after having both a breakfast and lunch (normally I skip breakfast). After the gym exercise I took a walk home. Later in the evening I took another 1 hour walk towards a bbq place where I then had a nice keto diet bbq meal. 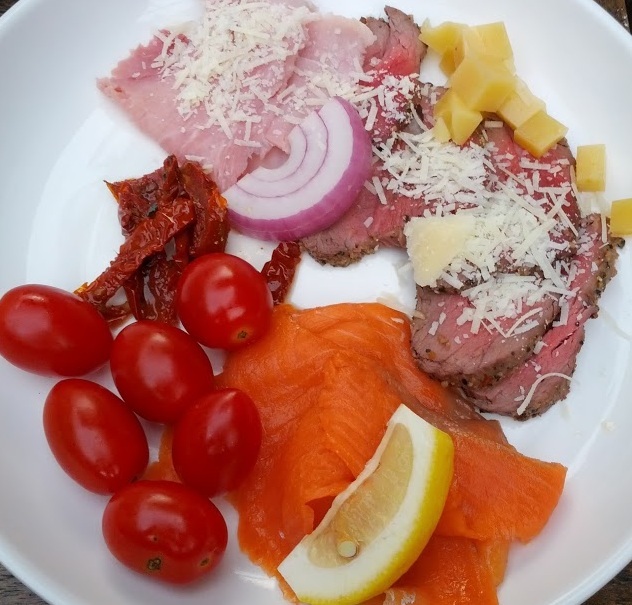 The keto diet bbq consisted of many different kinds of meat. From the sallad bar I took some roast beef with some cheese spread on top of it. 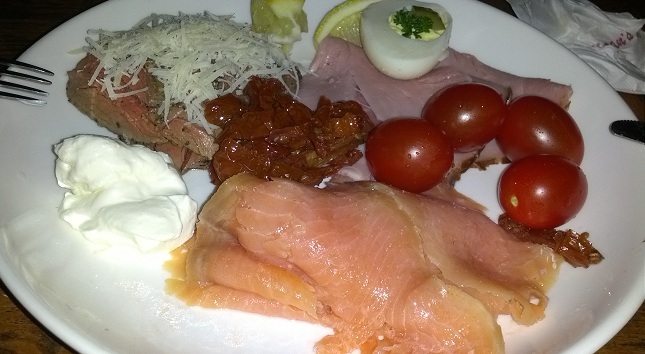 I also had some smoked salmon with lemon on top of it and a few tomatoes, cubes of cheese and a small piece of onion. Had 2 of these plates before going for the bbq meat. On the bbq I had a nice piece of steak, some lamb meat and some bacon with asparagus. The other things on the grill that are not keto friendly I simply skipped. In total a very good day in food and actually lost 0.5kg compared to yesterdays weigh in. After all that keto diet bbq food and the heavy session at the gym I would have expected that I would gain a little in weight instead. 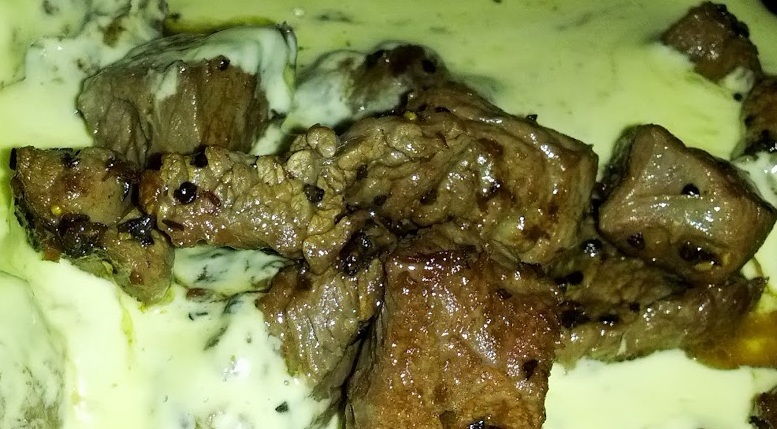 One Response to "Beef with bearnaise and Keto Diet BBQ party"
DeLacy / the best spice rubs I have ever tried come from : thespicehouse.com They are out of Chicago and they make a wide vaeitry of ethnic culture rubs. All are good but the hands down best is the Back of the Yards butchers rub. This makes the best ribs in the world. For BBQ sauces I also like Stubbs.